Nancy of Oak and the Owl is certainly talented at what she does! The classic all white wedding remains timelessly beautiful, but somehow Oak and the Owl transformed the pallet into a textural masterpiece. I could have photographed those roses, peonies, and eucalyptus for days and days! And while I definitely love color this all white beauty will always remain a favorite! In my heart I soaked up and loved the elegance of the classic bridal details. 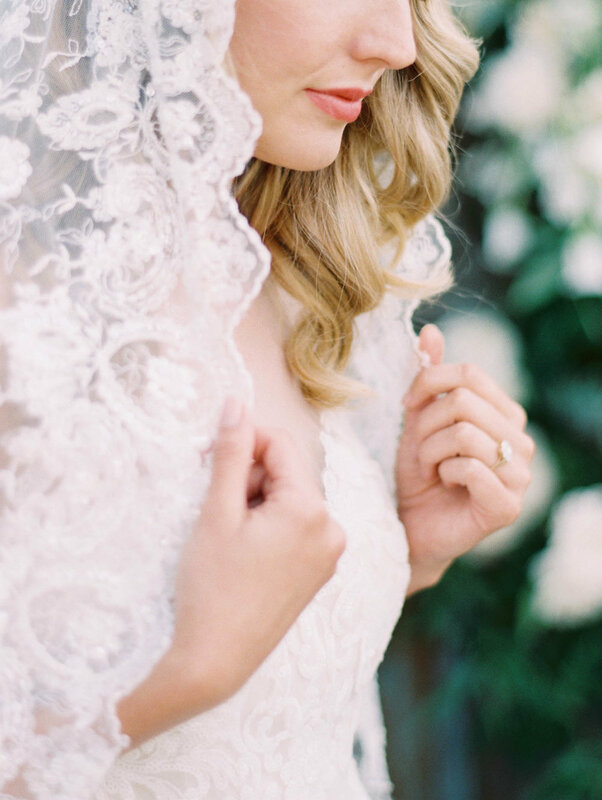 From the antique inspired Claire Pettibone ring for Trumpet and Horn to the lace sleeves and the bespoke veil she was classically elegant from head to toe. Indeed, the classic all white wedding will remain the height of elegance for the timeless bride!